Would you like a brush that takes care of your hair? We present the Bristle & Nylon Spa Brush - Platinum Edition. The Max Pro Evolution Straightener Pink is a professional hair straightener and styles - with 100% titanium plates. The Max Pro Evolution Straightener Red is a professional hair straightener and styles - with 100% titanium plates. Do you want curly hair, but you don't know how? The Max Pro Twist 18/9mm Curler provides a nice firm curl. Do you want curly hair, but you don't know how? The Max Pro Twist 19mm Curler provides a nice firm curl. Do you want big curly hair, but you don't know how? The Max Pro 32mm Twist Curler provides a nice firm curl. Our Max Pro Holder is the solution to store your tool safely while using it. Do you regularly have tangles in your hair? We would like to introduce you to the Max Pro BFF Brush White. Do you regularly have tangles in your hair? We would like to introduce you to the Max Pro BFF Brush Black. he Max Pro Gloss Straigthener is a professional hair straightener with ceramic plates and a refined rubber finish. The Max Pro Gloss Straigthener is a professional hair straightener with ceramic plates and a refined rubber finish. 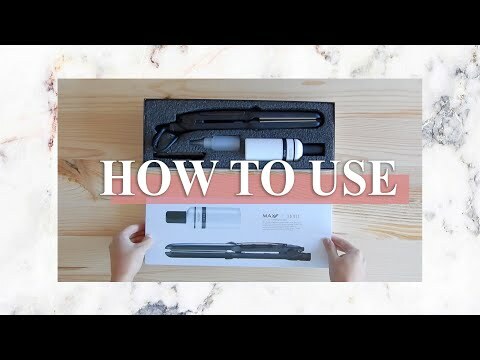 Are you looking for a small straightener that you can take anywhere you go? Max Pro introduces you the Max Pro XS. Thanks to our heat resistant glove you can safely curl your hair. The must-have for anyone with a Max Pro Curler! The Xperience hair dryer is a unique professional hair styling tool. Our hair dryer has a professional look. The Hair Clip Max pro is a hair accessory, but also a practical tool to fix your hair and create your own style. Are you looking for a hand mirror with a diameter of 28 cm? Are you looking for a protective mat for your straightener and/ or curler?